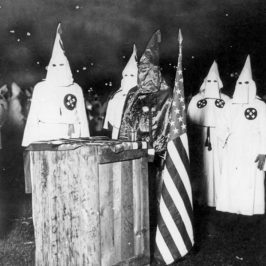 The KKK, The Priory of Sion, The Order Of Assassins… the names might be familiar but… Who were they? What were they? What were their beliefs and aims? This brand new series explores some of the most secretive and dangerous global underworld societies from history. It’s a murky, mysterious mixture of sectarian cults, fanatical religious groups, esoteric societies and political militants – all of them seeking to shape and influence the world we know today.